To get your bot activated on your Facebook business page, you will need to first create a MobileMonkey Account! Go to MobileMonkey.com and click on the "LOGIN" button in the upper right hand corner. Sign in with Facebook. Be sure you have a business page to connect. Confirm your Facebook! MobileMonkey will ask you for your personal Facebook account, so that we may access business pages that you are an admin on. Don't worry, this is supposed to happen! Place the URL of your Website or remove the check mark on the box if your website is not setup yet. Tell us what you are planning to use MobileMonkey for. Set the Language on you Page. Set how your bot will respond to unrecognized questions. Once you create your account, you can access your dashboard. 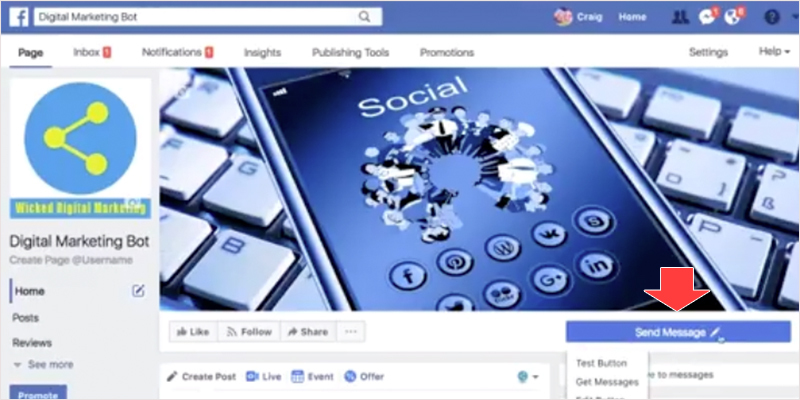 The first thing you want to do is click the "Connect Facebook Pages" button. You should now see a list of all the Facebook pages that you are an Admin of. Simple "check" the box next to the pages that you want to connect. When you are done "click" the "Connect Facebook Pages" button. This will add those pages to your dashboard and you can start creating bots. 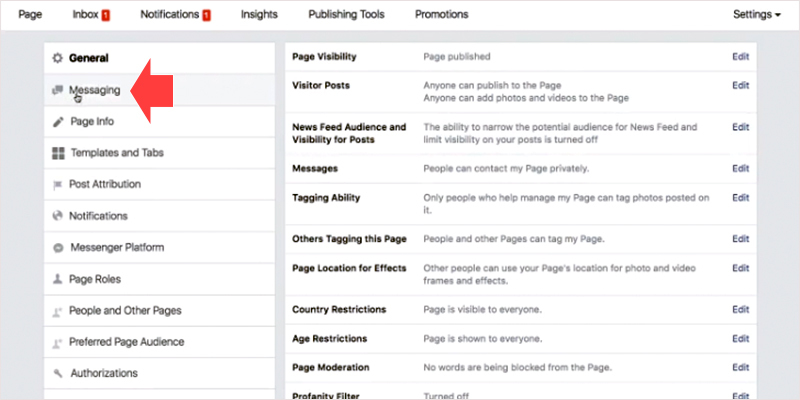 Here is where all your pages will show up. To add a bot just "click" on the big green button. To create your first bot "click" on the "Create Chatbot" button. You should now be at your MobileMonkey dashboard and can start building out your bot! But first let's make sure your Facebook page has all the correct settings. 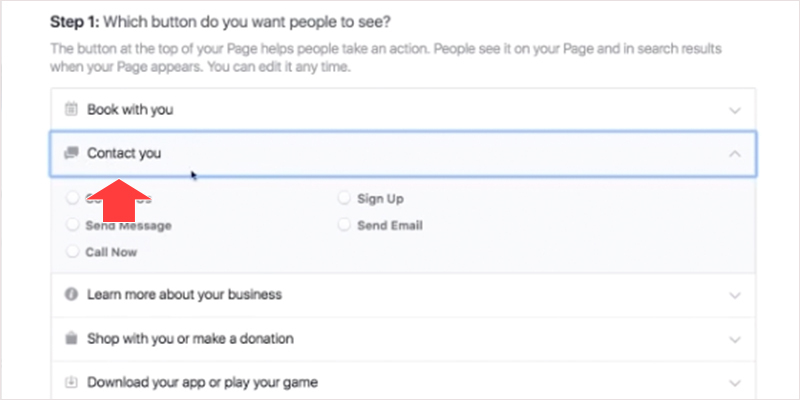 Setting up your Facebook page and important settings. 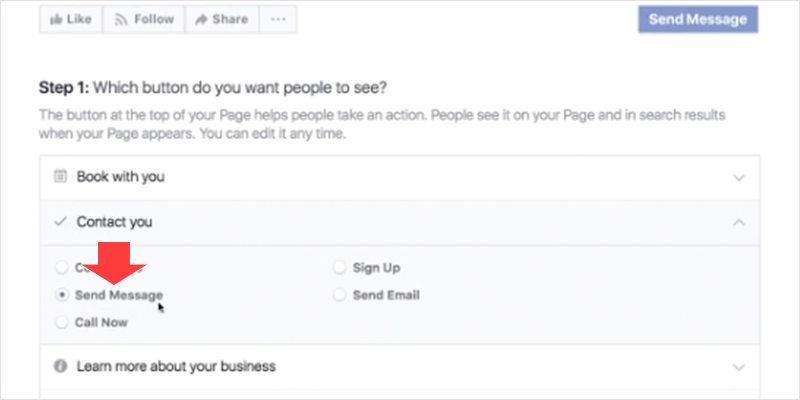 If your bot is not showing up on your page, check your Facebook business page settings! 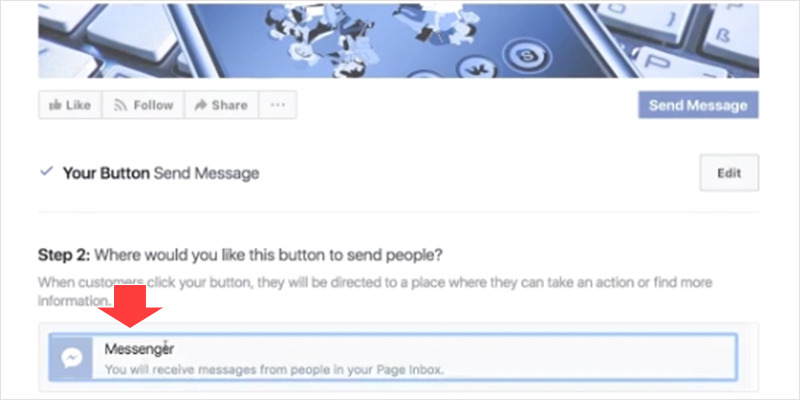 Go to your Facebook page and make sure you have the "Send Message" button enabled. If the button says "+Add Button" then click on it to enable it. Now "select" the "Contact you" option. Then "select" the "Send Message" option. 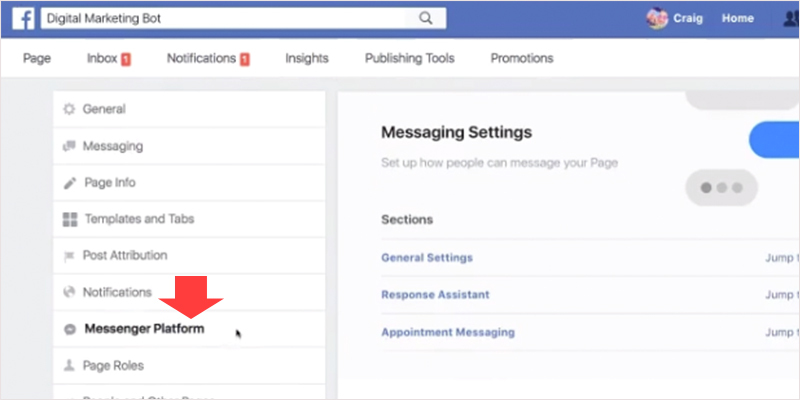 Then "click" "Messenger" and hit "Finish" You will now have the Send Message button enabled. 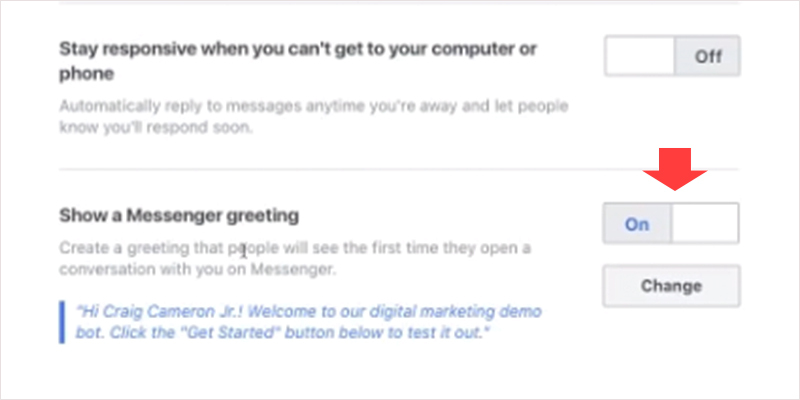 "Click" Settings and then "Messaging"
This is "Optional" If you want to show a message before people hit the "Get Started" button. Just click on the button to turn it "On" and then click "Change" to edit the message. Choose "Settings" and then "Messenger Platform"
Scroll down to the apps section and "Choose" the "dropdown" next to the MobileMonkey logo. 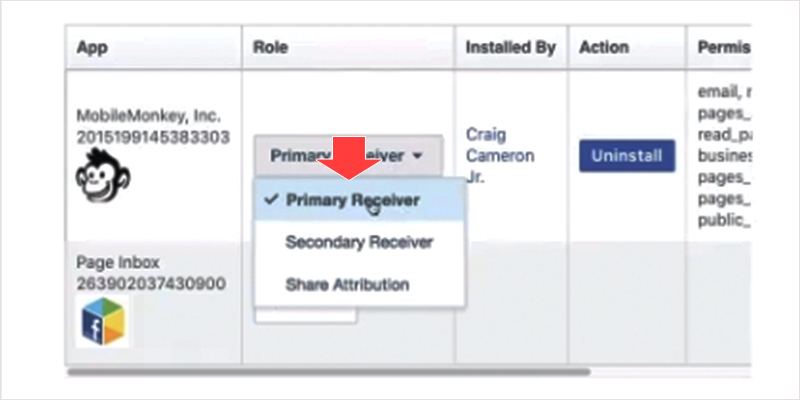 Then "choose" "Primary Receiver" This is VERY important. You are now ready to build your bot! 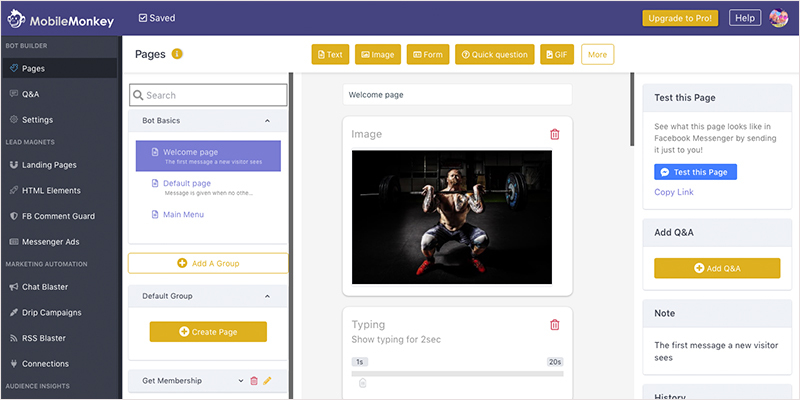 Connect your chat widget to your website. Visit our Website Widget Articles to learn how!